Lynn Barszcz was born in the small town of Belchertown, Massachusetts. In high school, she attended SYMS (Summer Youth Music School) at the University of New Hampshire where she went on to receive the first annual SYMS scholarship of $20,000. She is currently a junior at UNH studying music performance under the direction of Dr. Nathan Jorgensen. At UNH, she participates in Wind Symphony, Jazz band, leads a quartet, and performs in many other chamber ensembles. She was awarded second prize in the Great Composer’s Competition: Rising Talents of America in 2017. 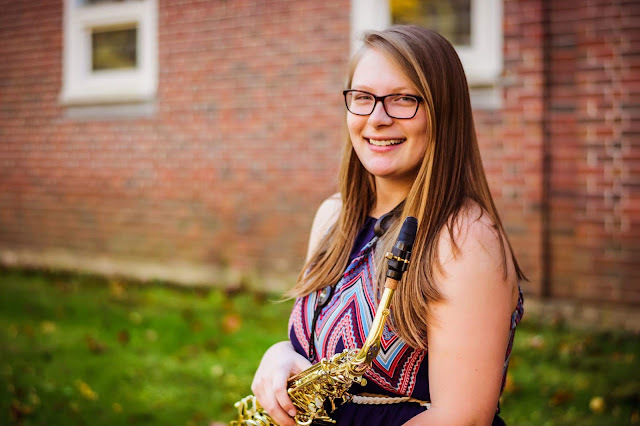 Also in 2017, she was chosen to participate in the 35th annual UMass Saxophone Symposium where she took part in a master class with Arno Bornkamp. She has also taken part in a master classes with John Sampen and Jonathan Hulting-Cohen.